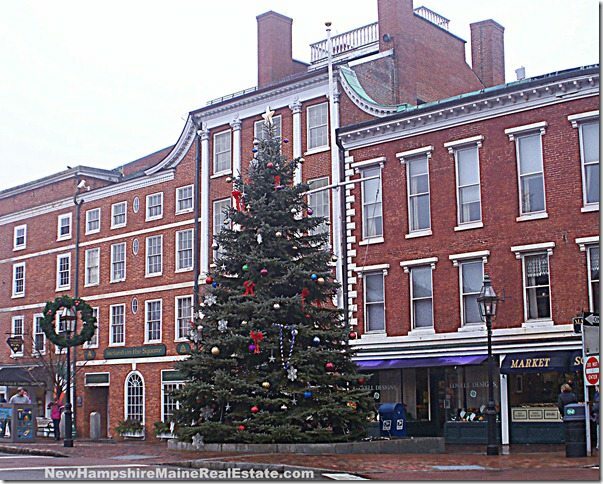 Portsmouth New Hampshire is such a pretty seaside town, and the downtown area, known as Market Square, is even lovelier during the Christmas season. We have a beautiful 4-story tall Christmas tree right in the very center of town, nicely decorated and lit at night. All of our street lights downtown are encircled with wreaths and most of our storefronts are beautifully decorated as well. If you’re in the area, make sure to take a stroll or slow drive through Portsmouth and see how beautifully decorated the whole town is!